L’Atelier de Joel Robuchon is one of those restaurants where one would go with, dare I say, unreasonably high expectations. 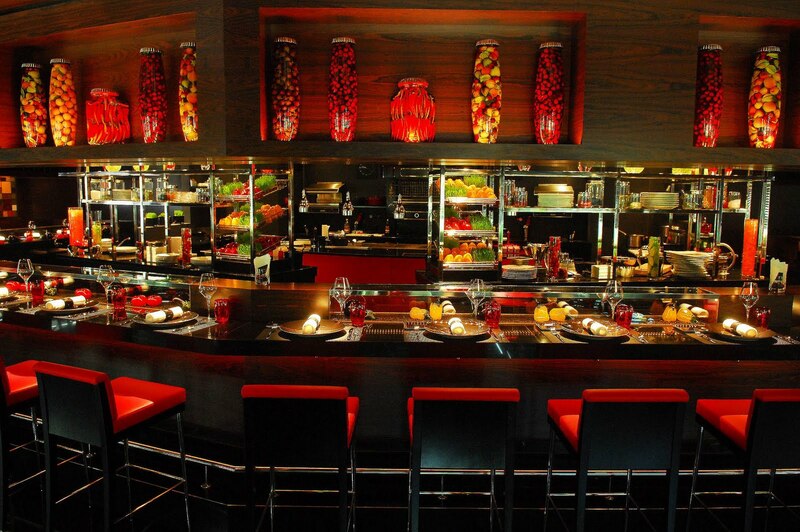 It is, after all, owned by Joel Robuchon, the much-feted French chef with a string of superlative accolades to his name. At last count, Robuchon has 26 Michelin stars – the highest in the planet – accorded to his stable of some 20 restaurants that spans 11 cities including, most recently, Beirut, Taipei and now Singapore. 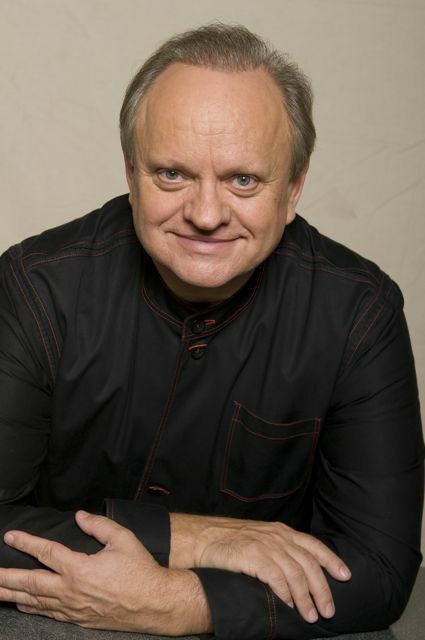 But Robuchon did not just peaked as a chef extraordinare; years before his restaurant empire blossomed around the globe, he was awarded “Chef of the Century” by Gault Millau and that was in year 1989. 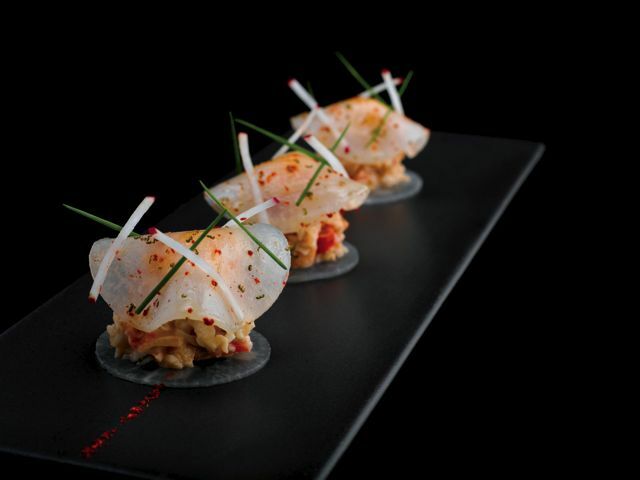 However great Robuchon is in the world of Michelin, his only stake in the galaxy of San Pellegrino 2011 World 50 Best is a 14th ranking by L’Atelier de Joel Robuchon Paris. And more restaurants it will be for Robuchon in Singapore with the twin openings of L’Atelier de Joel Robuchon (L’Atelier Singapore) and Restaurant de Joël Robuchon at Resorts World Sentosa since late April. But will these outlets deliver more stars when the stubby Michelin man lands in Singapore? A month after their debut, I was on Sentosa Island to take measure of how L’Atelier Singapore fares in comparison to her stable mate in Hong Kong, which I reviewed for Gault Millau some 2 years ago. Incidentally, I gave L’Atelier Hong Kong the highest-ever rating of 17/20 of the 40 restaurants I reviewed for Gault Millau in both Singapore and Hong Kong; but the publication subsequently tapered this rating conservatively to 15/20. For his maiden foray into the lion city, Robuchon has planted Diego Requena, a Spaniard and a L’Atelier veteran who’s done his rounds at L’Ateliers in Paris, Las Vegas and Tokyo, as Restaurant Manager. And helming the theatrical kitchen is the chief cast, Lorenz Hoja, Chef de Cuisine and a German national whose career with Robuchon took off at L’Atelier de Joel Robuchon London in 2006. Like other L’Ateliers, the Singapore salon’s 28-seater counter seats framing an open-concept kitchen against a backdrop of sensuous dark-and-red palette conspire to conjure an atmosphere that manages to be both glamorous and convivial. In the event these red-hot counter seats are taken, the elevated tables with red leather seats on metallic stilts in the colonnaded main dining area are up for grabs; less drama but equally stunning, nonetheless. Befitting its stature as the hottest dining ticket in Singapore at the moment, the salon has been filling up with diners – mostly L’atelier junkies – by about 8pm daily since it’s debut. Never mind that, by virtue of its location in Sentosa, it’s a good 15-20 minutes drive from the city. They all come for the same thing: the laboratory of finely executed French creations proffered in 2 menus: an a la carte and the more popular petite-portions menu (some dishes are repeated in both). The Menu Decouverte (or the Discovery Menu), an ensemble of 8-courses from the petite-portions menu, is a great place to start for L’Atelier virgins – or if you fancy variety. Your dinner may include first rate L’Atelier fixtures like the L’Amuse bouche of satin-smooth tou fu-styled foie gras custard basking in sweet red Port wine reduction topped with a cloud of savoury parmesan foam; or the starter of Le Crab, literally art you can eat with a tastefully assembled mesh of sweet and sour sauce-laced king crab sandwiched between 2 lucid slivers of precisely-sliced turnips dusted with spices. And for main course, perhaps the popular La Caillie, beautifully caramelized foie gras-stuffed free-range quail on a bed of Robuchon’s notoriously buttery mashed potatoes (though the perfume of truffles are shockingly missing here); or the Le Burger, mini-burger stacked with beef, foie gras and fragrant caramelized bell peppers. But if you are in a carnivorous mood, the generous disc of chopped onions-flecked steak tartare with crispy crinkle-cut fries from the a la carte menu is textbook perfect – and a personal favourite. But the dinner was not without dull moments. The basket of heart-warming home-baked breads arrived without a slab of butter – hopefully, this teething problem will self-correct in the coming weeks. The pan-seared Kagoshima beef with black truffle shavings, a menu highlight at L’Atelier Hong Kong which we were hankering for, was nowhere to be found on Singapore’s menu. And neither was the refreshing tomato millefeuille interlaced with crab meat, avocado and green apples, another standout at L’Atelier HK; in this instance, we’d need to skip across to the chi chi Restaurant de Joël Robuchon next door for this crème de la crème tomato dish. Not withstanding these, L’Atelier Singapore is going down in my books as one of the most coveted tables in town. My unreasonably high expectations were mostly matched and, quite often, exceeded. You may also like: Best French restaurants in Singapore.